Philips has launched a new set of noise cancelling headphones at this years CES, the Philips Fidelio NC1L which come with a lightning connector for Apple’s iPhone, iPad and iPod. 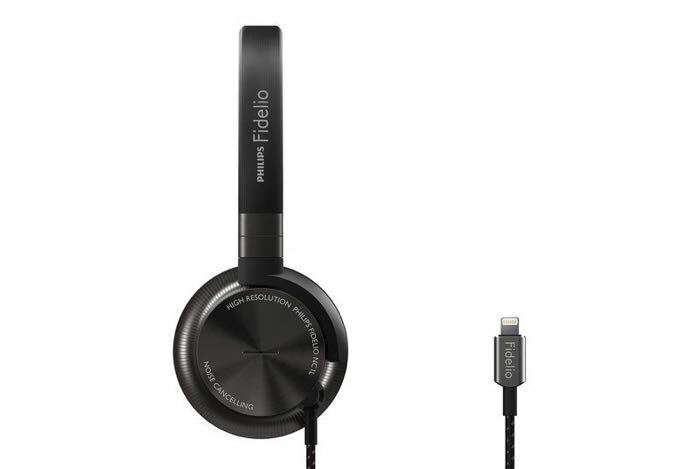 The Philips Fidelio NC1L are one of the first headphones to come with an Apple Lightning connector, and they plug directly into your iOS device. These new Philips Fidelio NC1L headphones do not need any batteries for their noise cancellation feature, instead they can draw power from your iOS device through the lightning connector. As well as a noise cancelling mode, they also come with a mode that lets you filter in ambient noise, so you can hear what is going on around you. The Philips Fidelio NC1L will launch in the US shortly and they will retail for $299, as yet there are no details on when they will launch in the UK.